A bathroom remodel can be a surprisingly fun project, and ProSource® of Jacksonville can make it even better. From totally ripping up the existing space to just updating a few fixtures, a bathroom remodeling project can be vast. So, the products you put in them should be exactly what you want. ProSource works directly with trade professionals and your homeowner clients to help inspire projects, discover the products that will bring the project to life, and save costs on the final ticket through low wholesale prices. 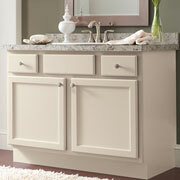 Our bathroom product collection is stocked full of everything you need to successfully remodel a bathroom. We also stock flooring materials for your convenience. The bathroom sink is a focal point of the space. It’s there to help wash up and is also a piece of style. 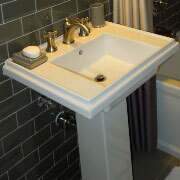 ProSource has everything from vanity sinks to pedestal, vessel, and wading pool sinks. The sink faucet doesn’t have to be a one-size-fits-all choice anymore. From beautiful pieces of décor to more traditional faucets, ProSource can help you pick out the sink that looks and functions as your homeowner client expects. The shower can be a relaxing oasis inside the home, especially when it’s equipped with fun features like removable handles and multiple showerheads. 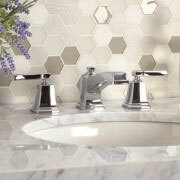 Our team helps your clients pick out the products for their dream shower and feasible budget. The bathroom vanity is more than just a place to look at yourself. It can be a treasure chest of storage and style. From antique chests to modern displays, browse our bathroom vanities in the catalog or learn more here. 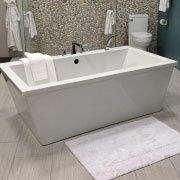 The bathtub is often connected to a shower head, but there is also something to be said for the standalone tub. No matter which type of tub your client wants, you can both depend on ProSource to have the tubs in the styles, materials, and prices you and your client expect. Choosing the right toilet is more than just picking the first one you see. 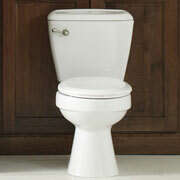 From flush ratings to bowl size and flush mechanisms, choosing the right toilet is like picking the throne of your home. It’s what your clients deserve. We proudly serve throughout Jacksonville, as well as Orange Park, St. Augustine, Ponte Vedra Beach, and Middleburg, Florida, and the surrounding areas. The ProSource of Jacksonville showroom is conveniently located in Jacksonville, Florida and serves all of the neighboring cities including Atlantic Beach, Bryceville, Callahan, Doctors Inlet, Elkton, Fernandina Beach, Fleming Island, Grandin, Green Cove Springs, Hastings, Hilliard, Jacksonville, Jacksonville Beach, Keystone Heights, Lake Geneva, Melrose, Middleburg, Neptune Beach, Orange Park, Penney Farms, Ponte Vedra, Ponte Vedra Beach, Putnam Hall, Saint Augustine, Saint Johns, Starke and Yulee.